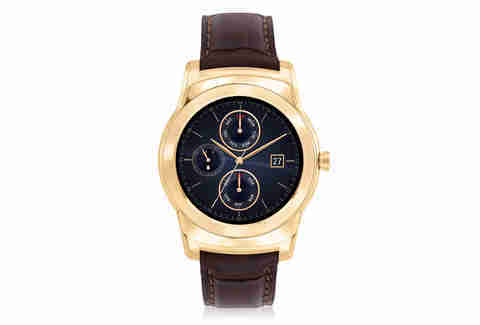 Released earlier this year, LG’s newest dive into the smart watch game gives a nod to traditional watch style with the LG G Watch Urbane. But what happens when you blow that look out of the water by casing the thing in 23-karat gold and handcrafted leather by Reeds Jewelers? You get a $1,200 smart watch, which means you finally don’t have to choose between royal-caliber luxury and having apps like Uber, Gchat, and Space Invaders (yup, for real) right on your wrist. 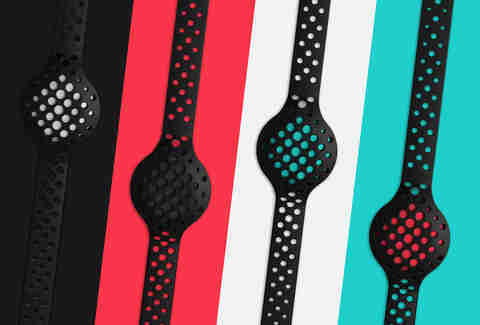 The Moov Now stands out from the fitness band pack for a few reasons: first off, its battery lasts six months, which means you don’t have another thing to charge every damn night. Secondly, it offers a much more comprehensive movement capturing mechanism (measuring 3D movement on multiple axes instead of one, like in a pedometer) meaning it can coach you effectively whether you’re running, boxing, or shaking your fist at tiny refs on the TV. Nothing makes everyday more exciting than pretending you’re a kid playing with walkie talkies. 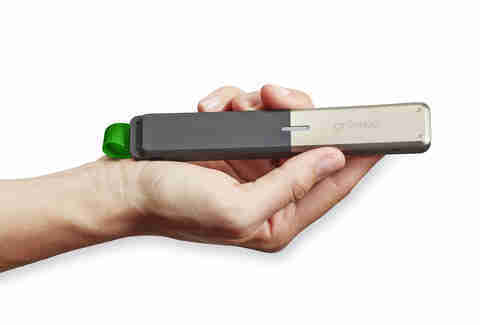 The goTenna, sold in pairs, work just like that, but through a handy chat app on your phone. No need to rely on a cell network or even Wi-Fi, because these little future sticks, strapped to your bag, belt, or hipster bucket hat, connect with other goTennas to transmit messages just like an adult walkie talkie. We won’t judge if you make the static noise with your mouth. 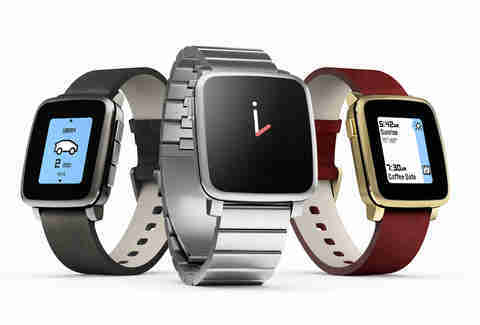 Back in 2012, Pebble cut its tech teeth by helming one of the highest-grossing Kickstarters in the site’s history ($10.3 mil!). And if that many other people were willing to fund a pre-prototype smart watch before the Apple Watch was even a glimmer in Silicon Valley’s eye, then it’s definitely worth some attention. The Time Steel combines rugged construction, design elegance, and easy compatibility with any mobile OS, meaning you can get your notifications on your wrist, eliminating the need to stare at your phone all day like some kind of teenage zombie. Controlling your TV with buttons on a remote? What are we, savages? 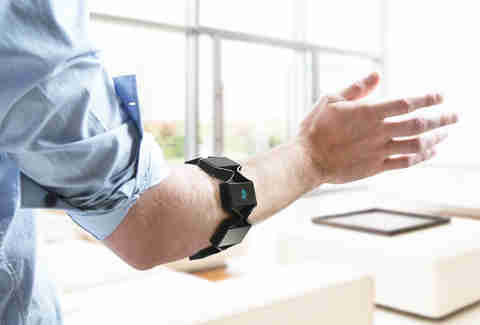 Enter: the Myo Gesture Control wristband. Toss this puppy on your forearm and it’ll read not only the movements of your arm but also the movements of your muscles as you spread and clench your fingers. You can use it to control your TVs, movies, sound systems, and even drones -- because, let’s face it, if you’re the kind of guy who has a gesture control wristband, then you’re definitely the kind of guy who’s got a drone. For those of us who don’t want our entire social life literally in front of our eyes every day (there’s only so much Friendster you can take), Google Glasses are a bit much. 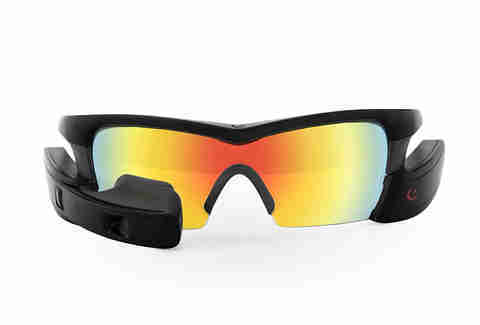 Recon eyewear provides more practical life enhancement for cyclists, athletes, or people who want to start a one-man Minority Report revolution. The Recon Jet sits on your face like regular sunglasses and displays key information about your morning workout from pace to speed to overall distance. They also put a front-facing camera on there for posting sick YouTube vids of your admittedly-not-that-sick biking prowess. For a little bit more universal control of life, turn to Kickstarter-funded robo-glove, Gest. 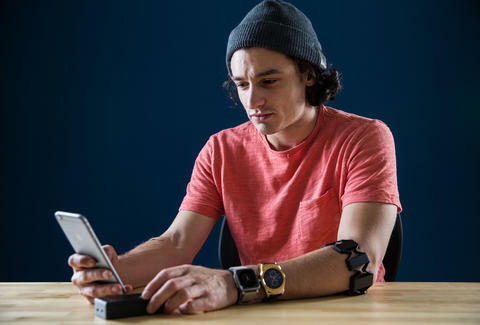 The founders of this futuristic-looking thing aim to do away with your keyboard and mouse with a 3D-movement-sensing gesture controller that can operate your computer, mobile devices, app-synched services at home, and more. And again, it makes you look like a cyborg. So you’ve got that going for you. This little rumbling rectangle, when placed on your belt or near your sternum, rumbles to the bass-y beat of your favorite tracks. 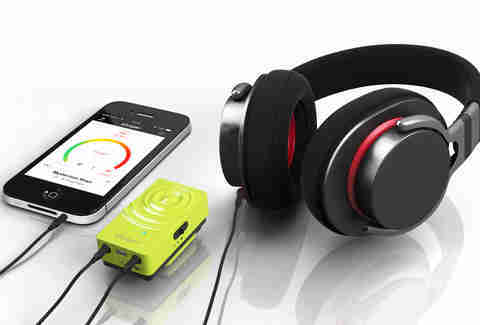 The company recommends using it with headphones or while playing video games, but we’d recommend using it at a silent rave for physical cues to be absolutely sure when the bass drops. 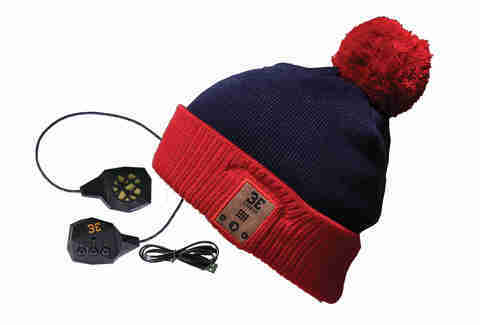 3E’s core offering is a collection of beanie kits that come complete with Bluetooth headsets/phone-controlling remotes that you weave into the soft lining of the hat. You can also rig these into your ski helmet, though that’s not as everyday-applicable as the beanie… unless of course you’ve got a thing going with your coworkers where you’re pretending to be Shaun White everyday. In which case, well, we don't know what to say. We’ve covered all the things you can strap to yourself, but if you’re looking for something a bit more discrete, turn to VivaLnk’s eSkin technology. 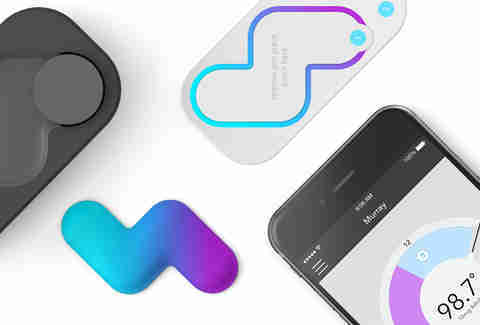 Much of their portfolio of products is currently still in the prototype phase, but on the market right now there’s a temperature-reading little sticker so you can check to see if you're sick without the need for, er, awkward thermometers. They also make a nifty patch that festIval and live event organizers can buy to hand out to attendees that will act as admission. It’ll even store money for use at the event. Do you need smart socks? Probably not. But answer us this: have you ever mispaired socks that looked almost the same but are actually (maddeningly) slightly different? 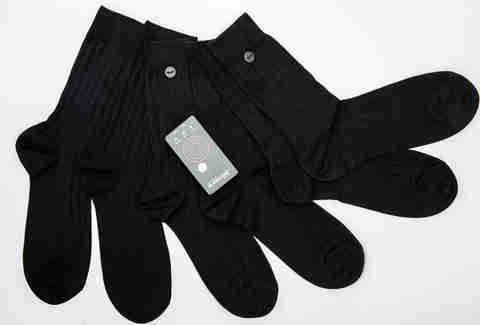 Well Blacksocks’ Plus+ line pairs of socks with an app that tells you not only which pairs to which, but also how many washes they’ve been through. It pretty much gives you super-feet… which seems like a lame super power, but is cool for the everyday Joe.